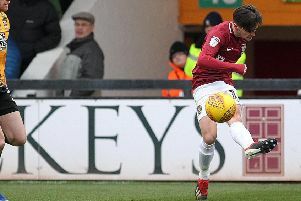 Cobblers forward Sam Hoskins hopes his well-taken goal during Saturday’s 3-2 win over Bury will be enough to convince manager Dean Austin that he deserves more chances to play as a striker. Hoskins has seldom been used in a central role this season, regularly shunted to the right-wing where he has struggled to hit his best form, scoring just twice in 26 appearance since returning from a serious knee injury in September. I enjoy playing more centrally where I can make runs in behind and I feel I can affect the game a lot that way. But the 25-year-old was impressive off the bench against Bury on Saturday when he replaced Kevin van Veen on 30 minutes, scoring with his first touch before creating a late chance for Matt Crooks and also going close to netting again with a long-range strike that flashed narrowly wide. Asked if he sees himself as a striker, he said: “I think so. I haven’t played there much for Northampton but I’ve always been a striker growing up. “For one reason or another, I’ve been playing on the wing more here but the manager has given me a chance to play up front. 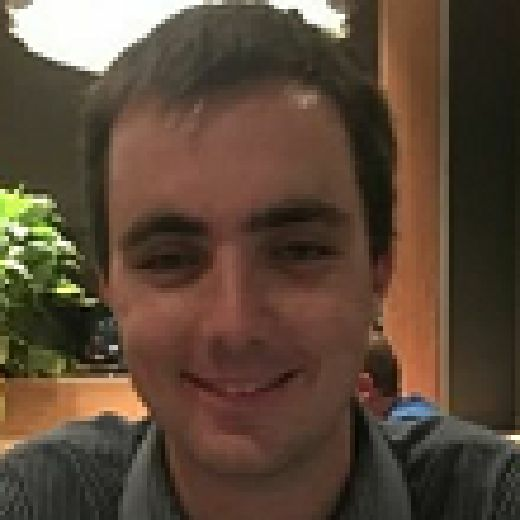 Scoring goals on a consistent basis has been Northampton’s biggest undoing in their troublesome campaign – only bottom side Bury have scored fewer than their tally of 39 – but with Austin willing to show a bit more attacking ambition in their final three games, attacking players like Hoskins might flourish as a result. “Every time I play I think I’ve got a point to prove,” he added. “It’s difficult because, no matter how hard you try, some games you can’t impose yourself. “On Saturday, I didn’t start and had to come off the bench, which is difficult but the manager has a hard task picking 11 players because everyone wants to play so there’s always going to be disappointed players. Hoskins took his goal well when it came along, latching onto Matt Grimes’ through pass and sweeping past home goalkeeper Joe Murphy with a first-time finish into the bottom corner. He continued: “Usually the chance wouldn’t be that obvious. He picked up the ball and drove forward and the space remained there so he put me in. You’ve only got a split second to think about it but luckily I’ve put it past the goalkeeper.